Mike practices primarily in the areas of land use and land development. Having previously represented several Delaware municipalities on a wide range of issues, including land use matters, Mike has a keen understanding of the administrative process and a proven ability to manage sophisticated and sensitive matters. Mike’s land use practice primarily focuses on projects in New Castle County, the City of Wilmington, and the City of Newark. He has amassed a broad range of experience in all aspects of land use, including property due diligence, conducting community outreach, zoning hearings, and guiding projects through the entitlement process from conception to completion. Having managed projects large and small, Mike understands the challenges of land development and the various factors impacting land use decisions. He currently serves as legal counsel to the Board of Public Works for the City of Lewes, a municipal utility provider, as well as legal counsel to the Lewes Board of Adjustment. 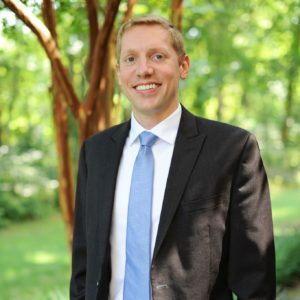 He also has experience in labor relations and employment law, and previously served as a legislative attorney for the Delaware House of Representatives and as an instructor with the paralegal program at Delaware Technical Community College. A native Delawarean, Mike strongly believes in giving back to the community. He previously served as President of the Dover Art League and as a Board Member of the University of Delaware Men’s Crew Alumni Association. He was a member of the Leadership Delaware Class of 2014. • Villanova University School of Law, Law School, J.D.